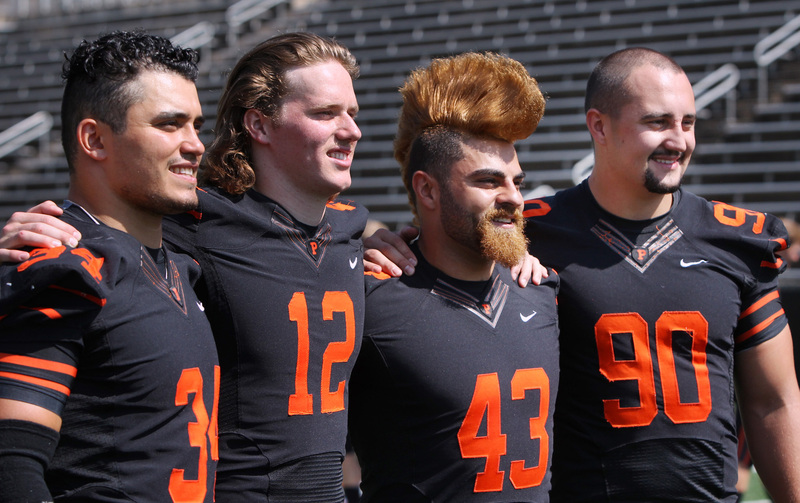 Thomas Johnson faced a trial by fire last fall in his junior season for the Princeton University football team. First, Johnson was moved to a new spot on the field, getting switched to inside linebacker from the outside. As the 2017 season unfolded and the Princeton defense was hit with a rash of injures as the Tigers lost their last four games after starting 5-1, Johnson was faced with the challenge of taking a lead role on the defense. “I wasn’t necessarily really experienced, but we had a lot of guys who weren’t experienced that had to step up,” said Johnson. Learning those lessons well, Johnson earned first-team All-Ivy League honors at inside linebacker after ranking third in the league with 95 tackles. His leadership ability was recognized as he was voted to serve as one of the captains of the 2018 team along with fellow seniors Kurt Holuba, Mark Fossati, and John Lovett. One of the guys who is being led by Johnson is his younger brother, sophomore linebacker James Johnson. “We had the chance to play together a little bit in high school but because of injuries it was a little thrown off,” said Johnson. With the Princeton defense having struggled down the stretch last season, ending up yielding 26.5 points and 407 yards a game, Johnson sees the unit tightening up this fall. “We have so much to work on. We know the challenges we faced last year but this is a new year and everyone is a little more experienced and a little hungrier and we are carrying that everyday,” said Johnson. Princeton defensive coordinator and senior associate head coach Steve Verbit sees Johnson as a very important piece for the Tigers. “Tommy is that energizer bunny; you just wind him up, you send him out on the football field and he is go, go, go,” said Verbit. For Johnson, working with Fossati, who is returning from injury, is going to be a huge plus. With Princeton preparing to face Butler (2-0) this Saturday in its season opener, Johnson and his teammates are looking to get better everyday. “We are focused on coming together and growing,” said Johnson.